Perfect quality and usefull tool to check the errors on a Mercedes W124. I am impressed!!! five s.. 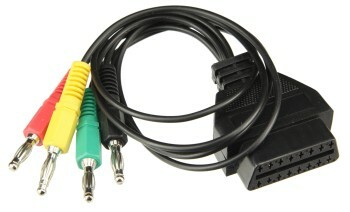 Very good cable for use on W124 (92-96 with M104\M111) and W463(G320). Using black, red and green b.. Very good cable for use on W124 (92-96 with M104\M111) and W ..